This is a recent commission—and an amazing piece to make. 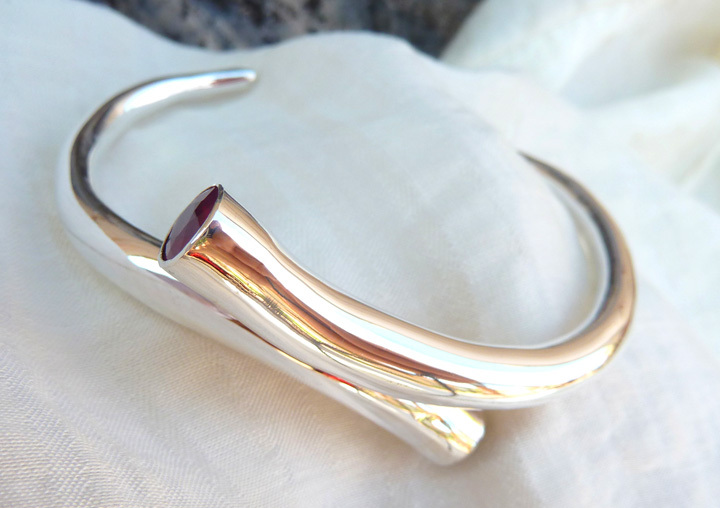 It is a hollow form fine silver bracelet, inset with a large ruby and a large emerald. This bracelet has a nice weight, and sits low on the wrist.